Fresh tomatoes tossed with garlic, basil, olive oil and balsamic vinaigrette, served with two warm pita bread. Chips with beans, jalapenos, lettuce, tomatoes, and our homemade cheese sauce. Lightly Breaded and served with mild spicy sweet chili sauce. Iceberg and Romaine with Cucumbers, Tomatoes, onions, olives, feta cheese, peppercinis and House dressing. Served on a bed of fried corn tostada, grilled onions, peppers, tomatoes, cheese and our signature house dressing. Iceberg and Romaine with tomatoes, onions, and cheese. Iceberg and Romaine with Raisins, dry cranberries, apples and sesame dressing. 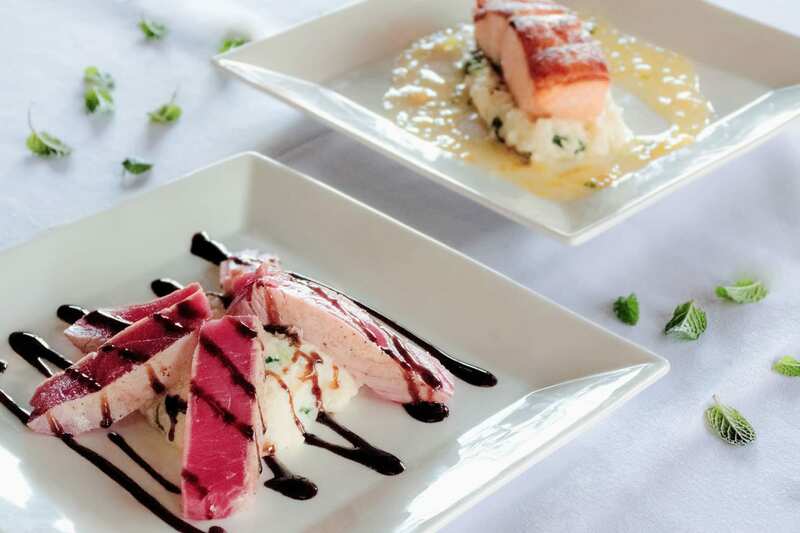 Pan seared tuna served over creamy spinach risotto and drizzled with balsamic glaze. Served with creamy linguini primavera, drizzled with pesto sauce and feta cheese. Grilled salmon served creamy spinach risotto and orange honey citrus sauce. Served over orzo with garlic,tomatoes,Spinach and cream sauce,drizzled with feta cheese and pesto sauce. Grilled shrimp and scallops tossed with penne pasta, cream sauce,mushrooms, sun dried tomatoes, fresh basil, topped with shaved parmesan cheese and pesto sauce. 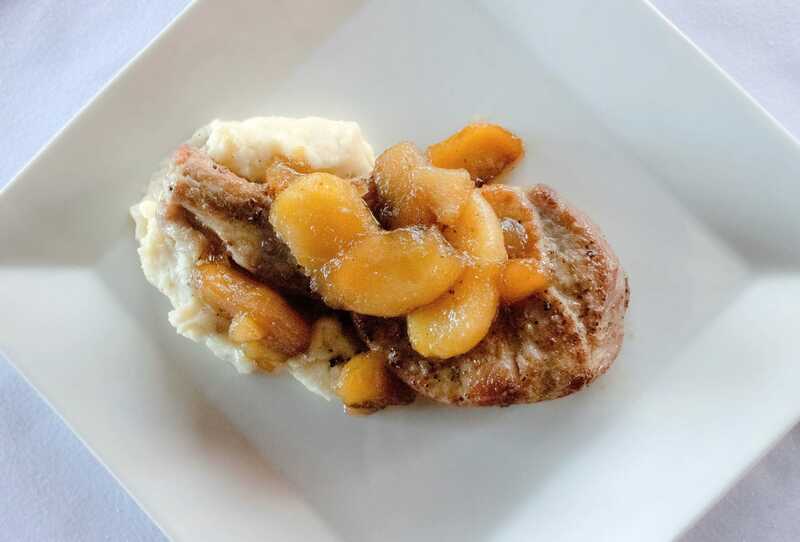 Topped with fried apples tossed with brown sugar,cinnamon and butter,served with creamy mashed potatoes. 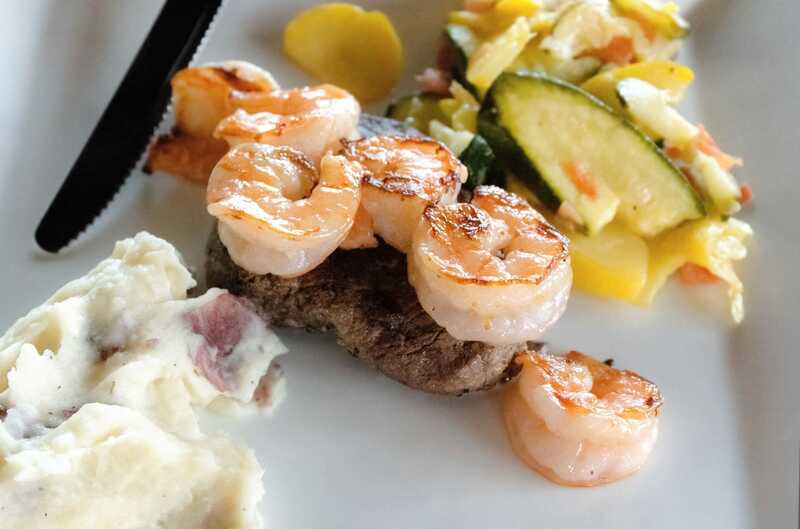 Two 3 ounces filet medallions grilled and served with 6 grilled shrimp, served with mashed potatoes and seasonal vegetables. 12 ounces Choice Angus served with seasonal vegetables and mashed potatoes. 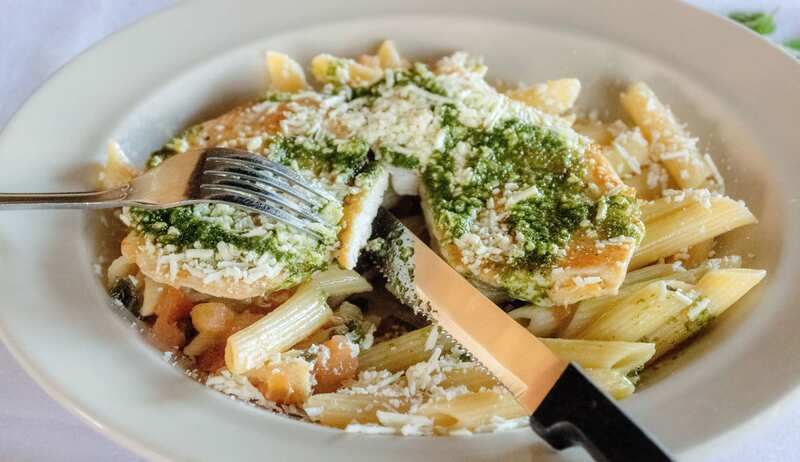 Baked Chicken breast coated with parmesan garlic bread crumbs and herbs, served over linguini primavera with feta cheese and pesto sauce. Tossed with fresh tomatoes, spinach, garlic and cream sauce. Wrapped in pita bread with tzatziki, lettuce,tomatoes and onions served with fries.